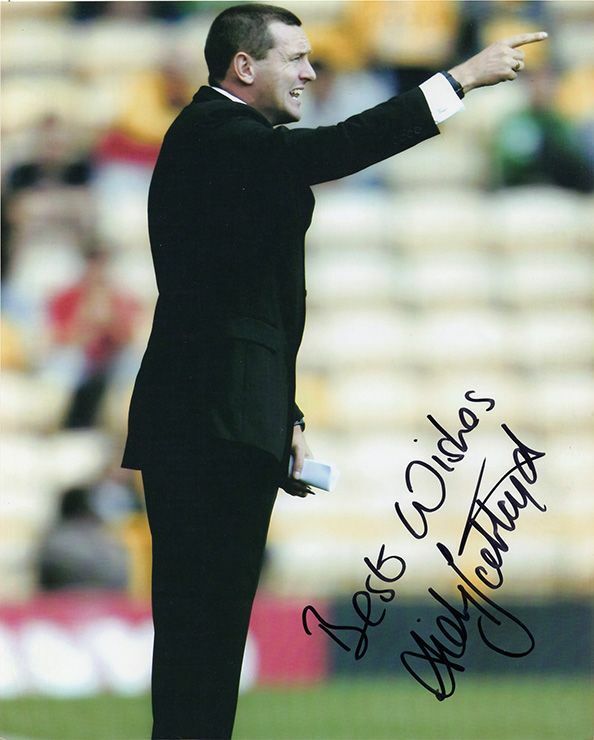 Aidy Boothroyd Watford signed 10x8 inch photo. Aidy Boothroyd, Watford, signed 10x8 inch photo. 10x8 inch colour photo personally hand-signed in black sharpie pen by Watford manager, Aidy Boothroyd. Boothroyd played for Huddersfield Town, Bristol Rovers, Hearts, Mansfield Town and Peterborough United. His playing career ended at the premature age of 26 due to injury. He was appointed manager of Watford in March 2006 at the age of 34 and went on to lead the club into the Premiership at the end of the 2005-06 season.